Point2 Homes gives you far more than a simple list of houses for sale. Get instant access to a lot of relevant information about Pembroke, ON real estate, including property descriptions, virtual tours, maps and photos. The search results pages also have a wealth of information on Pembroke, ON, if you scroll all the way down. 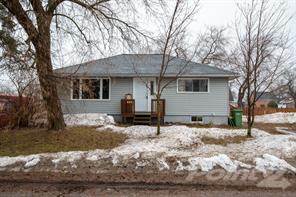 There are 115 houses for sale in Pembroke, ON. Searching homes for sale in Pembroke, ON has never been more convenient. With Point2 Homes, you can easily browse through Pembroke, ON single family homes for sale, townhomes, condos and commercial properties, and quickly get a general perspective of the real estate prices. Also, you’ll never miss a bargain if you filter listings based on house price drops in the past six months. Use the map view to find Pembroke, ON homes and apartments for sale, based on amenities or city features that you may want close by. You can close in on a specific neighbourhood or area by simply drawing around them with the polygon or radius tools. Stay informed about the latest entries on the real estate market by saving your searches. This way, you get new listings in your inbox, daily or every week, based on your preferences. If you’d like to get in touch with a professional, agents are displayed next to their listings, and they’re easy to contact through the online forms. 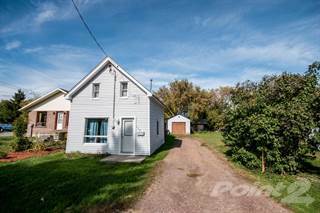 If you want more options, you can click the Tools tab and Find an Agent, and you’ll get a list of helpful and knowledgeable real estate agents in Pembroke, ON. Visit the Point2 Homes blog and you can find up to date expert advice on many markets throughout Canada, regular market reports, neighbourhood scoops in cities throughout the provinces, real estate deals and useful recommendations. Pembroke is located along the Ottawa River in the southeastern portion of Ontario. The city is home to over 15,000 people and covers 14.35 square kilometres near the Ontario/Quebec border, close to the communities of Petawawa, Forest Lea, Davis Mills, and Micksburg. The Muskrat River flows through the centre of the city from the Ottawa River. Highways 17 and 41 converge at the southern edge of Pembroke, and Highway 41 turns into Highway 148 in the northern section of the city. Pembroke is known as “The Heart of the Ottawa Valley” and the city gets its name from Sidney Herbert, First Admiralty Secretary (1841-45), who was the son of George Herbert, 11th Earl of Pembroke. The western section of Pembroke includes residential areas, a golf course, a bingo hall, service providers, shops, accommodations, a campground, a drive-in theatre, schools, restaurants, a strip mall, a park, and a community hall. Pembroke’s central section has residential areas, parks, service providers, churches, shops, schools, restaurants, government offices, a college campus, a library, a military building, an arena, an arts centre, an ambulance station, and a fire hall. In the eastern section, there are residential areas, a post office, a wellness centre, restaurants, churches, government offices, accommodations, parks, a pool, a curling club, a rink, shops, service providers, schools, a museum, a mall, and a hospital. Golfers can choose from the Pembroke Golf Club and the Valleyview Golf Range. The Pembroke Golf Club has an 18-hole course along the Ottawa River with a history that dates back to 1922. The club also has an onsite pro shop, a driving range and putting green, and an onsite restaurant. Members have access to a number of benefits, as well as various events held at the club throughout the season. The Valleyview Golf Range is a golfing centre and driving range that suits a variety of skill levels. The facility is open six days a week and offers a variety of playing options, including a season pass. Pembroke has a number of parks, including Riverside Park, which features ball diamonds, soccer fields, greenspace, walking paths, treed areas, a campground, a mini-golf course, a canteen, horseshoe pits, a playground, a splash pad, a dog park, picnic areas, restroom facilities, laundry facilities, and a fieldhouse; and Pembroke Waterfront Park, with an amphitheatre, a boardwalk, a courtyard, multiple gazebos, a bandstand, picnic tables, benches, a wooden chapel, a playground, walking paths, greenspace, treed areas, landscaped gardens, interpretive signage, and river views. Some of Pembroke’s major industries include manufacturing, healthcare, retail, tourism, and agriculture. Manufacturing in the city includes wood products such as lumber, plywood, veneer, hydro poles, fibreboard, and office furniture. Large manufacturing operations include KI Canada, SRB Technologies, EIP Mfg, and Pembroke MDF. The Pembroke Regional Hospital employs many residents to provide services such as nursing, home care, chiropractic care, outpatient care, general wellness care, and clinic care. The Pembroke Economic Development Advisory Committee is responsible for providing assistance and support for local businesses and interested investors. In the western section of the city, there are mostly single-family homes at low to mid-range prices. Homes farther into the city tend to be lower in price than those that are on the edges of town. Commercial space is also available here, as is vacant land at a variety of price points. There are plenty of affordable single-family homes in the central section of Pembroke, most of which have fairly large lots. There are some newer, more expensive single-family homes on the southern edge of this section and a variety of commercial space on the northern edge here. Most of the real estate in the eastern section is a mix of affordable single-family homes, vacant land, and large commercial spaces. A few large luxury homes can be found close to the river in this section, which normally fetch higher prices. Pembroke has a number of schools, including Fellowes High School, Highview Public School, Champlain Discovery Public School, Holy Name School, Bishop Smith Catholic High School, Rockwood Public School, Ecole Elementaire et Secondaire l'Equinoxe, and École Secondaire Catholique Jeanne-Lajoie. Other nearby options include Pine View Public School, Herman Street Elementary, and Westmeath Public School. Algonquin College is the only post-secondary option in the city and offers programs in nursing, social work, business, trades, education, law, and tourism/hospitality. For other options, residents must travel farther southeast to Ottawa.